Rimac is about to become a force to be reckoned with in the supercar world. If it wasn’t for The Grand Tour, there’s a good chance you may never have heard of Rimac Automobili. 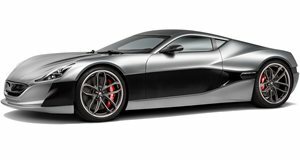 While it’s unfortunate that the only car the Croatian company currently makes is best known for nearly killing Richard Hammond, appearing in the show’s next season will no doubt give Rimac some vital exposure. Founded in 2009, the company has humble beginnings starting in a garage. Since then, Rimac has become reputable in the electric car industry for building its own supercar and developing technology for leading supercar manufacturers. The hybrid battery system in the upcoming Aston Martin Vulcan? That’s being developed by Rimac. In the next few years, we’ll start to see Rimac rapidly expand because the company has just secured a 30 million Euro investment with Camel Group, the largest battery manufacturer in Asia. It represents the largest ever foreign direct investment in a Croatian technology company. Currently, the only car in Rimac’s line-up is the Concept One, an electric supercar with 1,073-hp, 1,180 lb-ft of torque, and a 0-62 mph time of 2.6 seconds. Only eight cars have been built so far – one of which was destroyed in Hammond’s hillclimb crash in Switzerland during filming for The Grand Tour. The new investment will allow Rimac to build a new state-of-the-art facility to expand its production capacity and technology development before launching its second electric supercar, which will be shown next year according to the company’s founder Mate Rimac. According to Autocar, Rimac’s next electric supercar, currently known as the Concept Two, will have “even more high-performance” than the Concept One. It will also be larger, more expensive, and more comfortable, and have a production run of 100. Rimac says the Concept Two will be positioned “in a league with Pagani, Koenigsegg and Bugatti,” with spider and track variants to follow the initial coupe. “Over the years, we have established ourselves as a technology provider and enabler for many global automotive manufacturers,” said Rimac. “We have become the go-to address when it comes to electric powertrains, batteries, innovative infotainment and telemetry systems and many other core vehicle systems. "At the same time, our supercars are redefining what electric vehicles are capable of and showing that the electrified future will be exciting. In contrast to many other companies in this business, we have a working business model – we are profitable since 2012 and doubling every year organically. This investment will help us further accelerate growth, introduce new products to the market and expand our global presence.” Having sat in the front seat of a Rimac Concept One at this year’s Goodwood Festival of Speed, we can vouch that the electric supercar’s awe-inspiring acceleration is unlike anything else before it. Watch this space, because Rimac is about to become a force to be reckoned with in the supercar world.